The Aspire Cleito Pro tank is a 2ml sub ohm tank designed for cloud chasing and increased flavour. The slide top fill allows the Cleito Pro vape tank to be filled without unscrewing the top, a ring just underneath the drip tip can be taken off revealing the side fill port. Unscrewing the tank allows the user access to the coil, for a speedier removal and refitting. The Cleito Pro Tank features adjustable triple airflow, allowing for airy direct to lung vape or a more restricted draw. 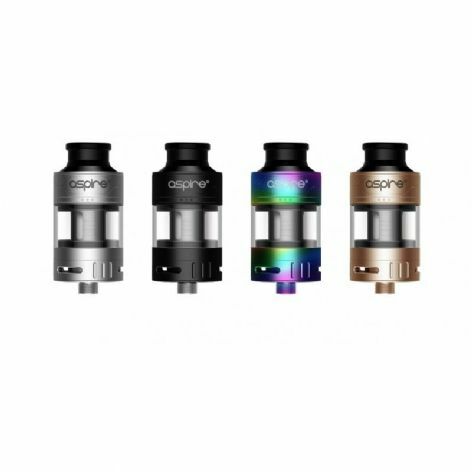 The Cleito Pro is compatible with a number of Aspire vape coils. The two new Cleito Pro coils are included with the tank, however it’s also compatible with the standard Cleito Coils, or the 0.16 Ohm Cleito Exo Coils. The 2 new coils are excellent for vapour production and are also compatible with Cleito and Cleito Exo tanks. The New Cleito pro coil is rated 0.5 ohms 60-80 watts, the mesh coil is rated at 0.15 ohms and 70-80 watts.